Product prices and availability are accurate as of 2019-04-21 23:05:15 UTC and are subject to change. Any price and availability information displayed on http://www.amazon.com/ at the time of purchase will apply to the purchase of this product. The Precision Pet Indoor/Outdoor Crate Cover is a heavy-duty water resistant crate cover that allows for usage inside or outdoors. 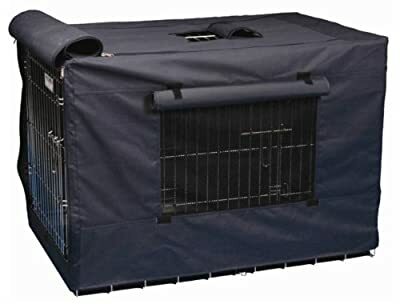 With mesh windows and shades to adjust visibility and ventilation, this is a great tool to create a safe and melatonin increasing den for your dog! 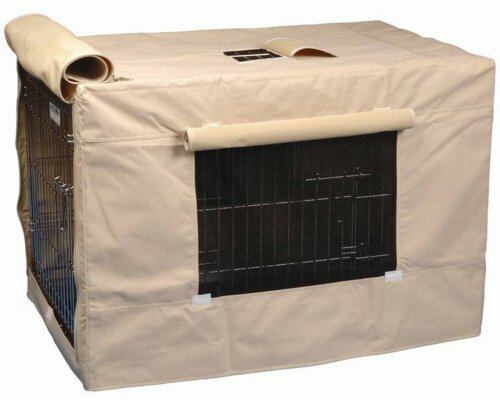 Tailor-fit, heavy-duty water resistant fabric constructed with reinforced double stitching and heavy duty zippers, allows for outside or inside useage Side mesh windows with roller shades to adjust visability and ventilation Machine washable Back zipper provides easy on and off, as well as easy pan removal.